Sophie wants one thing for Christmas-a little freedom from her overprotective parents. So when they decide to spend Christmas in South Louisiana with her very pregnant older sister, Sophie is looking forward to some much needed private (read: make-out) time with her long-term boyfriend, Griffin. Except it turns out that Griffin wants a little freedom from their relationship. Cue devastation. Heartbroken, Sophie flees to her grandparents' house, where the rest of her boisterous extended family is gathered for the holiday. 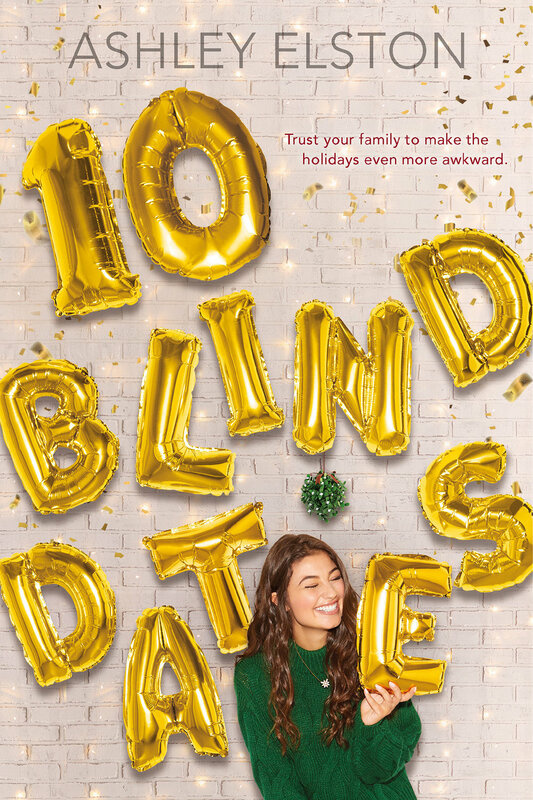 That's when her nonna devises a (not so) brilliant plan: Over the next ten days, Sophie will be set up on ten different blind dates by different family members. Like her sweet cousin Sara, who sets her up with a hot guy at an exclusive underground party. Or her crazy aunt Patrice, who signs Sophie up for a lead role in a living nativity. With a boy who barely reaches her shoulder. And a screaming baby. When Griffin turns up unexpectedly and begs for a second chance, Sophie feels more confused than ever. Because maybe, just maybe, she's started to have feelings for someone else . . . Someone who is definitely not available. This is going to be the worst Christmas break ever... or is it?